Matthew Rachman Gallery is pleased to present “Agentic Mode”, a performance piece by Marcela Torres as part of the programming for “On Guard”, a group exhibition curated by Kasia Kay Art Projects. Marcela Torres is a social strategist, bringing into action performance, objects, workshops and sound installation. Torres pairs alternative learning methods with martial arts, creating a platform for the audience to witness a true representation of conflict. Torres has performed at the Museum of Contemporary Art Chicago, Three Walls Gallery, Performances is Alive: Miami Art Week, Detroit’s Fringe Festival, New York City’s Itinerant Festival and Virtual International Exchange in Boston. Torres has exhibited work at the Flatlands Gallery in Houston Texas, Fosdick Nelson Gallery at Alfred University, Acre Gallery in Chicago and Green Gallery at Yale School of Art. 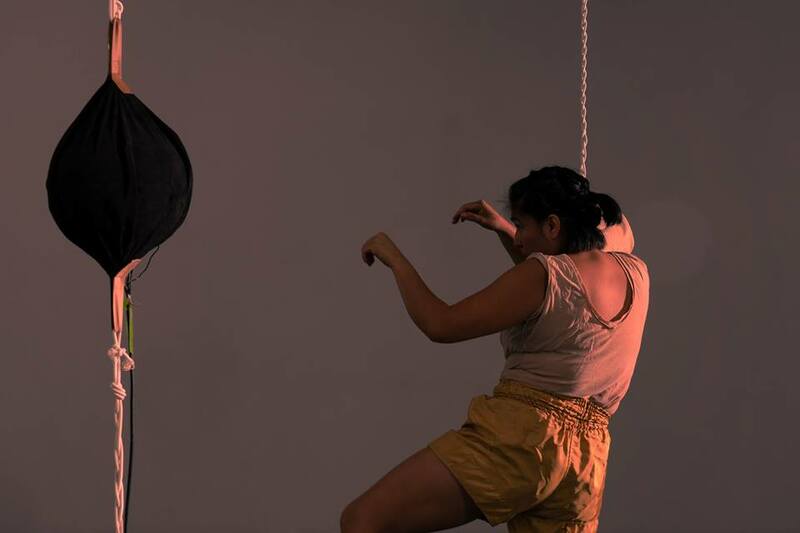 In “On Guard”, Torres exhibits photography and performs “Agentic Mode,” deconstructing martial art techniques while experimenting with sound. Torres’s motions build an audial symphony as a means to represent the complicated mindspace of violence, the fine line of victim, aggressor, and retaliation. “On Guard” will be on view from November 2 through December 2, 2018.